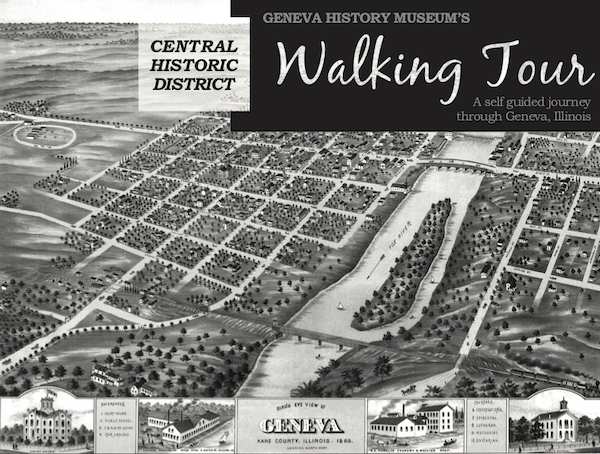 Enjoy Geneva's history on your own schedule. Self-Guided Tours are available for purchase here online. A link will be sent to your email to download the PDF tour. Special discount in the Museum's Gift Shop - both tours for $5 in paper form. All proceeds benefit the Geneva History Museum. A self-guided journey through the central historic district of Geneva, Illinois. Explore 25 properties within walking distance with photographs, addresses and stories. For all of its remarkable growth and change, we believe much of Geneva today would be recognized by its earliest residents. Our ethic of historic preservation is evident in the historic homes, businesses and buildings that still grace our tree-lined streets and scenic river front. As you stroll, you can discover at your own pace, Geneva's renowned and picturesque buildings. The sidewalks, lawns and buildings of Geneva, Illinois, are home to notable pieces of public art. Discover the stories of more than 34 sculptures, statues, monuments, and murals tucked in locations throughout the city. Refer to the map in this guide. 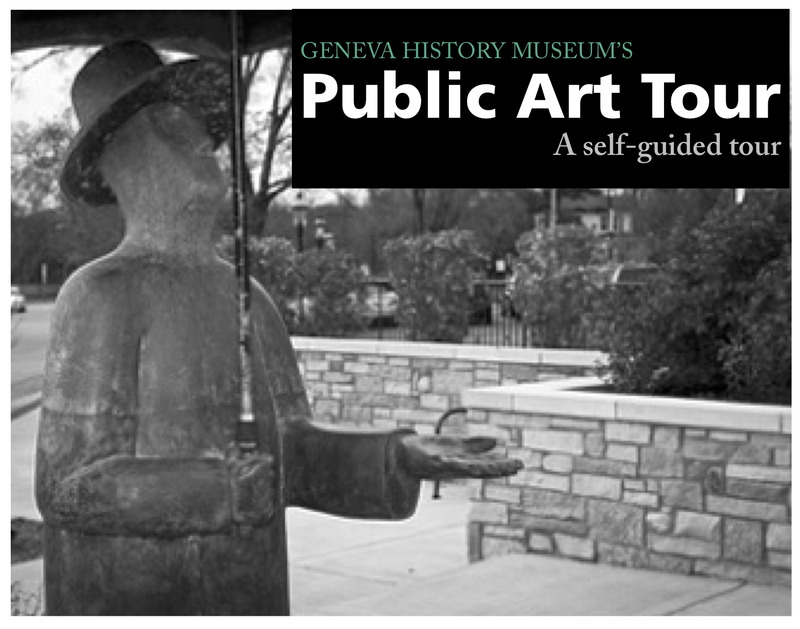 Most of the art is walkable in downtown Geneva, but there are a few places that will require a longer walk, bike ride or car.